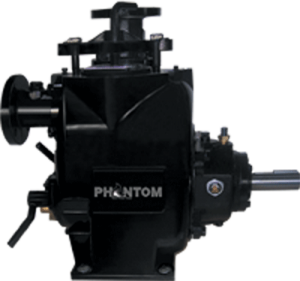 Phantom Pumps variable speed pumps are low-cost alternatives that fluid processors throughout the US and Caribbean are utilizing as replacements for less productive, worn-out and/or broken existing American made pumps manufactured by higher priced brands. Phantom Pumps is the manufacturer of self-priming, centrifugal pumps that are compatible and interchangeable with hundreds of top-selling pump models manufactured in the US and worldwide. The pump equipment in our lines includes low pressure PL-Series pumps, high pressure PH-Series pumps, DPUMP ANSI pumps and slurry pumps that meet and exceed the most stringent industry standards. We assemble, test and package all of our pumps in the United States and back them with one-year guarantees. Phantom Pumps slurry pumps are available in a choice of impeller, special liner, casing and other component materials of construction and feature a patented design that has shown efficiency gains up to 7% along with longer component wear life that is up to 700% over other slurry pump brands. The replacement parts for all of our pumps at Phantom Pumps are the interchangeable parts that in-house service technicians in Florida, Alabama, Georgia, Ohio, South Carolina and elsewhere throughout the US can use to reduce repair and maintenance costs on services performed on compatible American made pumps, Gorman-Rupp pumps and name brand pump equipment. To request cross-reference information or quotes on our variable speed pumps, contact a pump expert at Phantom Pumps today!